Marilyn Vine brings you information on toxins to cover many different articles and information that has come her way to alert you about things that you may be doing in your everyday life that may be harming your health, the health of your family and, in fact, even our environment. Check out this link for products that have no potentially harmful ingredients. “The website PharmaDeathClock.com has been shining a light on this disturbing number for some time now. It constantly updates real-time numbers of victims killed by Big Pharma in the U.S. and worldwide since January 1, 2000. Some of the numbers included are for deaths which are not directly attributable to the pharmaceutical companies, including things like medical error, hospital errors and hospital malnutrition. Information on Toxins urges you to click this link and read the full article so that you can understand what is unfolding. At the same time we have Google and YouTube blocking information on vaccination and statins. If you do your research on statins you may be shocked. “The UN has released a report that condemns the use of toxic pesticides – and attributes over 200,000 deaths per year, worldwide, to their use. Click this link to read his full article. Information on Toxins provides a NaturalNews article dated 11 November 2016. Click this link to read the article. GreenMedia dated 3 September 2016 has provided a very good article entitled: Aflatoxins: Poisons Hiding in Plain Sight. Please click this link to read and understand the harm that this toxic mold can be quietly doing to our bodies without us even be aware of it. There are many things that I personally do in my own life to protect myself from the harm that environmental toxins cause. These are just two of the things that I do but before I continue I would urge you to listen to this doctor speak about the importance of Glutathione. I also use a product called Sisel OrganiCleanse to soak all the fresh produce that I eat. This includes the fruits and vegetables grown in my own organic garden as well as supermarket or market garden produce that I may buy. I soak chicken breasts, thighs and wings before cooking them and I have found that by doing this when the chicken is added to a stock that I do not end up with that yellow scum on the top of the broth which tells me I have obviously removed something from the meat! I also soak seafood. It goes without saying that for the past 23 years – since 1996 – I have been taking quality nutritional supplements to support my health and am now reaping the dividends from doing this – good health with no problems! Click this link to see where I buy my products from. I also use Young Living Essential Oil products such as the Thieves range of products which includes a very powerful household cleaner. In fact, it is the only cleaner that I use in my home and I dilute this product down and spray my garden produce to keep the insects away! Click this link to check out the Young Living Thieves Collection and don’t forget to read about the Thieves Essential Oil – such a powerful oil that I am never without! My ID with Young Living is Marilyn Vine 1103165. I trust that my Information on Toxins page provides you with a great deal of information to assist you in maintaining your own health. “Denny and Vivian Smith live in the idyllic Estill County town situated near the Kentucky River on property that has belonged to their ancestors since the 1800s. Last August, the area was descended upon by a convoy of trucks that were transporting concentrated fracking waste from northern West Virginia to the Blue Ridge Landfill. NaturalNews on 28 June 2016 wrote an article “BEWARE of the top 10 toxins in food and medicine that cause the majority of U.S. allergies, diseases and disorders”. Here is an excerpt and it is suggested that you read this full article to understand more information on toxins by clicking this link. Listen to this YouTube as they speak about fish being imported into the USA. It is probably much the same for the Australian and other overseas markets. Once you have listened to the YouTube click this link to read about a product that I use to help reduce the toxins found in the fresh food I am eating. I use this on chicken, prawns and fish. My beef I purchase from a known source, have the animal sent to an abattoir and sent back to a butcher I trust for cutting and packing so I don’t soak this. I am even wary about eating fish caught in Australian waters due to the high levels of radioactivity coming from the Fukushima Nuclear disaster. I am happy to be able to share this information on toxins with you. Listen to Dr Crinnion speak with regards to information on toxins. Too toxic to drink but okay for farmlands!!! NaturalNews on 12 May 2016 provides information on the runoff from fracking results in wastewater that is considered too toxic for anyone to drink, so why is it being dumped on farmland instead? Fracking, or hydraulic fracturing, entails injecting water, sand and various chemicals underneath the ground to stimulate the flow of gas so that it can be extracted and sold. The injected water subsequently rises back up to the surface, only this time it brings with it a few unwelcome souvenirs from its time under the ground – namely radioactive isotopates and heavy metals. No one is lining up to drink water laced with any of these chemicals, so the wastewater is normally pumped into underground "wastewater wells" for storage. The toxic elements of this water will be taken up by the plants and therefore in the food we are eating. I use a product called OrganiCleanse to soak all the produce that I personally grow pesticide free, and all supermarket or even farmer market products to help to remove any toxic residues contained in this food. Click this link to find out more information and to purchase this product. I also use a high-quality water filtering system that not only removes the pesticides and toxins from my water but infuses the water with health-healing hydrogen. NaturalNews on 15 April 2016 have produced an article labelled: “CDC likely fabricating link between Zika virus and microcephaly cases; admits people self-immunize against Zika and that 'no single piece of evidence provides conclusive proof'. "A dramatic increase of congenital malformations, especially microcephaly in newborns, was detected and quickly linked to the Zika virus by the Brazilian Ministry of Health. However, they fail to recognise that in the area where most sick persons live, a chemical larvicide producing malformations in mosquitoes has been applied for 18 months, and that this poison (pyroproxyfen) is applied by the State on drinking water used by the affected population." 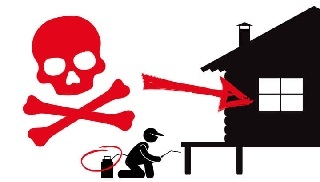 Information on Toxins suggest you Click this link to read the full story. Information on toxins urges you to google Zika Virus and you may be surprised at what you find. Published on Mar 25, 2016: The shampoo in your shower, the foam in your mattress, your TV, couch, carpet, pillows...chemicals are everywhere. And they aren't all safe. Watch the YouTube below to learn more and then check out Sisel Safe™. I am pleased to be able to share this information on toxins with you. Tom Mower Sr advises that “everything that is toxic in your home Sisel can change. Now from water, to products we use for cleaning, personal care, health and now to air itself. 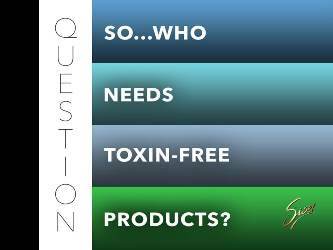 Sisel will completely make the products you use safe, detoxify your home, your car and even your office too. Sisel Safe now takes another giant step forward to complete neutralize the life threatening circle of toxins around us. Check out the Sisel products by clicking this link. Information on Toxins is pleased to be able to provide this information. Have you ever wondered how heavy metals end up in the food chain? NaturalNews on 18 March 2016 provides an infographic demonstrating how this occurs. Click this link to view the infographic. Information on Toxins provides information on microbeads. “These tiny plastics have been causing so much alarm that supermarkets are in the process of banning the bead from their shelves. But in the stomachs of our seafood, researchers are mostly finding a different kind of microplastic.” Click this link to listen to the YouTube and read the narration of this disturbing story. NaturalNews dated 9 January 2016 provides information on the alarming increase in the amount of toxins being absorbed by our children’s brains and the worldwide evidence of the neurological damage being on the increase. Click this link to read the full article. I recall several years ago a letter written by a woman who had for 10 years watered her garden with recycled water. The sad ending to her letter was that EVERY member of her family had some form of cancer or other! Click this link to read the information on toxins published article. Listen to Dr Mercola discuss biosolids with Dr Lewis and the harm that these are causing us and our environment. Wakeup World on 18 October 2015 brings information of a mushroom found in the Amazon that appears to be able to thrive on eating plastic! An interesting article to read – take some time out and click here to read it. Let us pray that it may be the solution to reducing the plastic waste problem that the world is experiencing today. Toxic Mothers likely to have autistic and ADHD children! NaturalNews on 19 August 2015 provides even more information on toxins with regards to pregnant women passing the toxins through to their children and having a disastrous effect on our children. Click here to read the article. Click this link to check them out. "BPA exhibits hormone-like properties and has been proven to cause reproductive defects in fetuses, infants, children and adults as well as cancer, metabolic and immune problems in rodents," vom Saal said. "BPA from thermal papers will be absorbed into your blood rapidly; at those levels, many diseases such as diabetes and disorders such as obesity increase as well." BPA can be found in the white lining contained in our tinned foods. I once heard a NSW Health Minister say on television that the amount contained in the lining would not cause anyone a problem! He had no right to say this. He has no knowledge of how much BPA is being received from other sources or for that matter how much tinned foods people are eating that come from white plastic lined cans. For more information on BPA click this link. “At long last, following years of delay, the U.S. government has finally admitted that it poisoned its own troops in Vietnam decades ago through the mass use of the herbicide known as "Agent Orange." Now that is the Veterans compensated – what about the countries that they inflicted this on and their surviving people? Click the link and read the story. Do you have these toxins in your body? Dr. Don Colbert provides information on toxins and the many types of toxins that are in the environment and what you are likely ingesting into your body without really knowing about it! Find out what these toxins can potentially do and what you might be able to do to avoid some. I often listen to current affairs programs where we have so called “experts” advising people on what to do, what to eat and what to avoid. Occasionally I find that we have someone presenting, who actually really does know what they are talking about, but on too many occasions the information being provided right across national television is going to put more people in harms way! In Australia in 2012 TV was running an advertisement whereby two small children carry bricks representing what their mother has saved them from by avoiding butter and using margarine! It is sad that this message is going out. First, butter contains many important natural ingredients that are good for your health. Secondly, did you know that when margarine is made that the ingredients are heated to a very high intensity and they become what is termed “denaturized” and can be carcinogenic! This also applies to Canola Oil which also should be avoided! Bookmark this Information on Toxins page to see new links as they come to hand. Click this link to read Dr Mercola’s article in full. The other action that I find upsetting is the denigrating of people using natural supplementation to maintain their health. They are ridiculed and the fact remains that unless the body has the right building blocks, i.e. minerals, vitamins, etc then it does not have the ability to heal itself. Could I please ask you to click into this link to learn about a company that will provide you with some of the safest personal care products and good quality nutritionals to help maintain good health? By maintaining good health you will allow yourself the ability to overcome the effects of vaccination, fluoridation, genetically modified foods, pollution and everything else that is bombarding both the human body and our environment! Check out the page on pregnancy to find out more about information on toxins and how to attempt to have a healthy pregnancy. This link will take you to a website containing information on therapeutic grade essential oils, the power of these oils and information on quality personal care, skin care and household cleaners containing these oils. To read some of Marilyn’s information on these essential oils click Marilyn’s information. All of these pages will provide information on toxins and give you a greater understanding and what you can do to avoid them. In this website by going to the menu bar on the left hand side you will find over 100 pages of information that will help you to maintain your health and to avoid toxins. Information on Toxins Page is pleased to be able to bring you information with regards to the amount of toxins contained in the umbilical cord of newborns. Would you believe that up to 287 toxins have been found? To read this article and learn more about what is reported click on this link. These four heavy metals all come with your fluoridated water and, of course, with the fluoride in your food and prescription medications. To learn more about fluoride then check out the menu on the left hand side of this website to see several pages containing fluoride information. To learn about safer personal care and household products click on this link. This information on toxins link relates to a document on 76 ways that sugar may harm your body. I have had this document since late 1990’s early 2000’s and perhaps today even more harm may be known! Information on toxins from the Sunday Mail (Qld) dated 17 June 2012 brings information on the fact that in Australia we have 40,000 untested chemicals in use! My only concern with this article is the fact that they may make it mandatory for mothers to have their breast milk checked for toxins and then prohibit the mother from breast feeding. I am sure that if pasteurized/homogenized milk and formulas were tested and particularly if the formulas are made up with fluoridated water that the end result will not be any different. Interested in helping your body cleanse itself? Information on Toxins: If you think you might be interested in clearing out toxins and heavy metals that may have accumulated as cellular debris then click on this link below and search out information on Body Shield. If you would like more information on any of the products that might have caught your eye then please don’t hesitate to contact me at siselopportunity@expandingabundance.com or use the email link at the bottom of this page. Read the horrifying truth of what they are planning to do!!! Information on Toxins and NaturalNews brings information dated 27 December 2011 on one of the most horrifying stories that I have read for a long while!!! Dow AgroSciences is applying for approval to use “Agent Orange” as part of GM corn deregulation. Below is an excerpt of this must read document and then people must take ACTION and contact as many of your government agencies, senators, congressmen as you can and put a stop to this. It won’t just end in America it will end up being spread right around the world!!! “A key chemical of one of the most horrifying elements of the Vietnam War -- Agent Orange -- may soon be unleashed on America's farmlands. Considered by world nations to be a "Weapon of Mass Destruction" (WMD), Agent Orange was dropped in the millions of gallons on civilian populations during the Vietnam War in order to destroy foliage and poison North Vietnamese soldiers. The former president of the Vietnamese Red Cross, Professor Nhan, described it as, "...a massive violation of human rights of the civilian population, and a weapon of mass destruction." I am always so pleased that I have pages like Information on Toxins to be able to bring this information to your awareness. Mike Adams from NaturalNews on 22 May 2010 is advising about 1,4-dioxane contamination in laundry detergents. Many years ago one of the MLM companies that I was involved with had their founder come to Australia. He explained to us that for a company to remove 1,4-dioxane from products was a very simple extra process that the other manufacturers would not do purely as a cost cutting measure. For information on a Sisel Safe Guarantee Laundry Detergent click this link. Once again one has to ask where are our Government agencies protecting the welfare and health of the people? Again News of the World brings information on contaminations but if you care to glance through some of the other Healthymoneyvine pages you will find lots more information in this regard. If you would like information on a laundry product click this link. Would you like to make your home a sanctuary? Information on Toxins: Would you like to make your home as free from toxins and hidden chemicals as you possibly can? Parabens are found in some personal care products and cosmetics. A class of chemicals used as preservatives in thousands of cosmetic and care products. Their use is becoming increasingly controversial due to studies which have found their existence in breast cancer tumours. Polysorbates these are often used in cosmetics to bind essential oils to water-based formulas. Oily liquids derived from PEG-ylated sorbitan (a derivative of sorbitol) esterified with fatty acids. Could contain 1,4 Di-oxane (a toxin found in Agent Orange), which is often created in the manufacturing process, and has the potential to create cancerous tumours on the skin and in the body. You can read more by clicking on this link. By clicking on this link you can check out products that are as free of toxins as you can possibly get right now in the market place! Click on the link – select Products – and check them out. If you wanted to you could purchase something and give it a try OR another option is to click on Sign Up as either a Preferred Customer (and earn reward) points or as a Distributor (and build a business) – the price of the products are the same whichever option you choose – and either option will give you continued access to products as free of toxins as you can possibly get right now! Alternatively, you can contact me at siselopportunity@expandingabundance.com or in the email form below and I would love to hear from you. I am an independent Sisel Brand Partner (10146519) and have followed the progress of this amazing network marketing opportunity since its inception in 2007. I have also been privileged to use many of the products provided in the early days and in March 2016 you could call my home a “Sisel Safe Home”. Click this link to find out more about these great products. 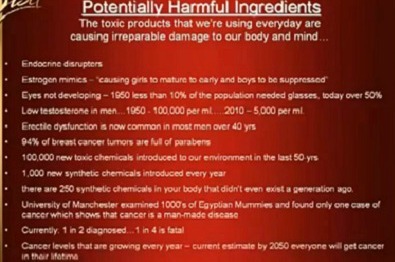 Bombarded with chemicals on a daily basis! Toxins now being found in branded clothing!! Information on Toxins brings a story from NaturalNews dated 26 August 2011 of big brand name clothing outlets which are selling garments which are containing toxic substances! One of the most toxic chemicals on earth! Information on Toxins: Why would the EPA approve the use of one of the most toxic chemicals on earth? when used by the farmers it can drift into the air and into other areas where there may be people working, children playing, etc. The EPA has approved the use of this pesticide on strawberries! Unbelievable! There is a petition in the link for you to protest to the EPA with regard to the continued use of this spray. It is another incidence of the USDA knowing that the approved pesticide is killing the bees and doing nothing about it! It is part of a group of dyes known as azo dyes. I knew that tartrazine was used extensively in drinks and of the side effects it could have on children by causing hyperactivity. Information on Toxins urges you to please read the article dated 25 April 2011 from NaturalNews to find out more. BPA rears its head again! Because of my Healthymoneyvine website and pages like Information on Toxins – people are inclined to send me information they think may interest me and be able to share with the world via pages like the Information on Toxins Page. If you think you have a story to be shared then please use the email form at the bottom of Toxins Page to contact me. Information on Toxins: More than 60 countries have banned endosulfan. The chemical has been linked to reproductive and developmental damage in animals and humans, and residues have been detected in breast milk and placentas. But the Australian Federal Government's pesticides authority continued yesterday to maintain the chemical was safe for use on a wide range of crops. Why do the Australian authorities do this? Over the past 15 years I have learned of many toxins that have been banned in European countries, sometimes for up to 20 years, and yet the Australian Government is still allowing them to be used! And more importantly why aren’t we speaking out against the continued practice of using these chemicals? Is our food safe to eat? I find these very sad articles to insert on Information on Toxins Page! People world-wide rely on their various governments to protect their health and their safety. 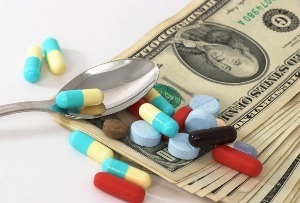 It is a sad indictment on our world today where financial gain takes precedence over health! So much controversy surrounds Genetically Modified (GM) foods and yet still no scientific testing is being done to actually confirm that GM foods are safe for human consumption. The more frightening aspect of this is the countries that do not require food labeling to show GM foods. Everyone – worldwide should be demanding this to be shown in their food labeling laws! This does not just apply to GM foods but to all the hidden additives that are often contained and the buyer is totally unaware of them. Things like aspartame, aluminum and fluoride just to name a few. I was told recently that aspirin contained aluminum – how many people would take it if they were aware of this? Natural News on 17 March 2010 brings us a story of animals being fed GM corn and that within three months their livers and kidneys are compromised. Click on the link and read for yourself. Information on Toxins Page brings you another article closing following on from the one above. Here we have a Judge in America authorizing the sale of GM Beets simply because so many people had planted it and that if it was banned farmers would face enormous losses! Sorry am I missing something here? Just checked this link only to find that the website has been hacked and over 300,000 items deleted. Why did the farmers plant GM Beets when no scientific testing has been done to prove their safety? Were they just thinking of the dollars in their rush to plant something that had not been proved safe? If this is the case, then I am sorry but the Judge should have said “why didn’t you wait until its safety has been proved before planting these crops? Why in the meantime did you not plant crops that you know are safe?” This is particularly important when you read of the importance of the Beet crop in America. Americans – if you have any concerns for your health then you should be lobbying your Members of Parliament to stop Judges being able to make rulings based purely on a monetary basis and not on a safety basis. The rest of the world – who knows what products these GM beets will be put into that will be imported into our own particular countries? If you have other information on toxins such as the above that you think would be appropriate to be included in Information on Toxins Page then please contact me in the email form below. This is one of the reasons that I write pages such as this - just to get information out to the world and hope that enough people read the information and does something to stop these things from happening. Information on Toxins page brings you more sad news about our food! Most of you probably know this already but just in case you are not aware, click on this link. Chlorine is also absorbed through the skin, so swimming in pools that are treated with chlorine and bathing and taking showers in city water that has been treated with chlorine is equally harmful. You can purchase inexpensive shower heads that remove this harmful chemical and there are alternatives for treating your swimming pools. In the event you are not aware the CDC (Center for Disease Control) is heavily backed by Clorex so they are not going to tell you these things. It is up to us to educate ourselves. 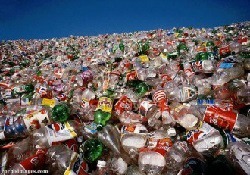 Information on Toxins brings an article on plastics and the effects that they can have on the unborn fetus. 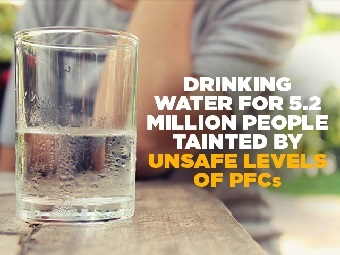 Many of you will be aware that phthalates leach out of certain plastics. I always recommend to new Mums that they use pyrex (glass) baby bottles if they are unable to feed themselves. It is believed that the phthalates leach out of the plastic bottles into the milk when the baby’s bottle is heated. I have been reading about phthalates leaching out of plastics for many years now and no one world-wide seems to be taking any action to stop manufacturers from using bad plastics for example the bottles that have a number 7 on the base. I am pleased to bring you information on Toxins Page. “Some experts believe they are partly to blame for the increase in genital defects in boys and lower sperm counts in men over recent decades. Did you know that Aspirin kills 400% more people than H1N1 Swine Flu? Information on Toxins page brings you information on aspirin. I wonder how many of you might be taking this to save your life? I understand that aspirin contains aluminium! 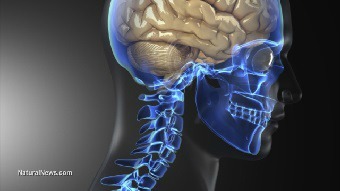 Aluminium is indicated in people suffering Alzheimer’s disease and dementia! Do you really want to take a product containing this ingredients? On 20 November 2009 Mike Adams of NaturalNews brought us this story. ” The CDC now reports that nearly 4,000 Americans have been killed by H1N1 swine flu. This number is supposed to sound big and scary, motivating millions of people to go out and pay good money to be injected with untested, unproven H1N1 vaccines. But let's put the number in perspective: Did you know that more than four times as many people are killed each year by common NSAID painkillers like aspirin? Information on Toxins: 4 November 2009 I received the Environmental Working Group’s report on Green School Cleaners Emit Fewer Air Pollutants. This article is covering the cleaners used in schools in particular. However, a great many of these chemicals are also found in your household cleaners and also your personal care products. To read the report click on this link. Did you know that you clean just as effectively using essential oils? That the essential oils are safe and do not have other ramifications. 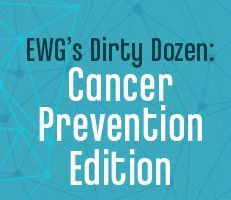 The EWG Report covered H1N1 swine flu and the need for cleanliness standards to be maintained. One of the products that I use was created based on the historical account of four thieves in France who protected themselves from the black plague with cloves, rosemary and other aromatics while robbing victims of the killer disease. When captured, they were offered a lighter sentence in exchange for their secret recipe. If you would like information on the range of products that uses this secret formulation then please contact me by clicking on the Essential Oil link and checking out the website. The products contain wipes and a waterless hand purifier, which could be carried in your handbag or glove box of your car for ease of use. Please be advised that the information on the essential oils that are referred to in Toxic page have not been evaluated by the TGA and or Food and Drug Administration. Any and all information and/or statements are for educational purposes only and are NOT intended to diagnose, treat, cure, prevent disease or replace the advice of a licensed healthcare practitioner. The article above covered the “importance of nutrition” you begin to understand the importance of what you eat and what you cover your skin with. It would have been interesting to know what the mother of the child involved had been using on herself and her household as I believe that this too would have had an effect on the child’s health. Information on Toxins Page brings information from Chris Woollams of cancerACTIVE about Fish with Two Heads. ”Fatal fish mutations at a fish farm in the Noosa river, Australia have been laid firmly at the door of pesticides. The fish farm reported that all its Sea Bass larvae had been born with two heads and died. Then chicken, horses and sheep in a neighbouring hatchery were reported as experiencing birth defects. Information on Toxins page also refers you to Cancer Prevention page for more information on Chris Woollam’s amazing work in helping people with cancer. For many years we have been hearing about the diminishing bee population. It is referred to as “Colony Collapse Disorder”. Have you ever wondered why this is happening? Perhaps the link below will help with some sort of explanation. Do you ever wonder what your food is fertilized with? 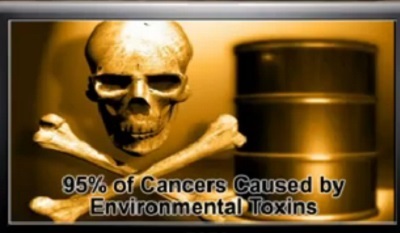 Again Information on Toxins page brings you information you otherwise might not be aware of. Click on the link and read about toxic, sewage sludge in your food. Safe personal care and household products. Then please complete the email form at the bottom of the page letting me know what you would like details on. May I suggest that you check out the following pages on my website as you may find the information contained in them of interest to you. If something of interest to you is not covered in Information on Toxins page please contact me as you never know I may just have the information you are looking for. Alternatively, if you have information that you feel would be appropriate to show on Information on Toxins Page please contact me in the email form below.